Leaves skin full, smooth and luminous. 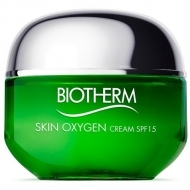 DESCRIPTION: Skin Oxygen Night from Biotherm is a night care of purification and filling with hyaluronic acid beads. 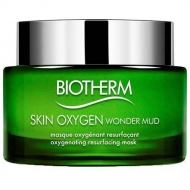 This night repairing care is enriched with chlorella detox seaweed extract and with hyaluronic acid beads that fuse in contact with the skin, to hydrate intensely. This amazing formula involves the skin at night, creating a protective film on its surface to retain water and optimize skin recovery. Stronger against external aggressions, the skin becomes full, smooth and luminous from the first awakening. Avoid the contour of the lips and eyes.